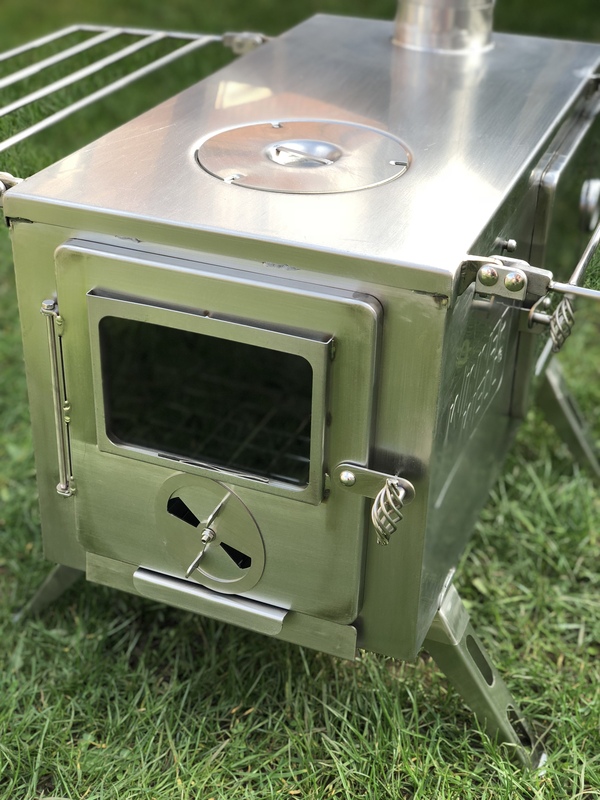 Weighing in at 25kg this is not a lightweight stove but it is a robust outdoor woodburning stove with a built in oven and with an additional clip on watertank that gives you more than any other stand alone outdoor stove on the market. 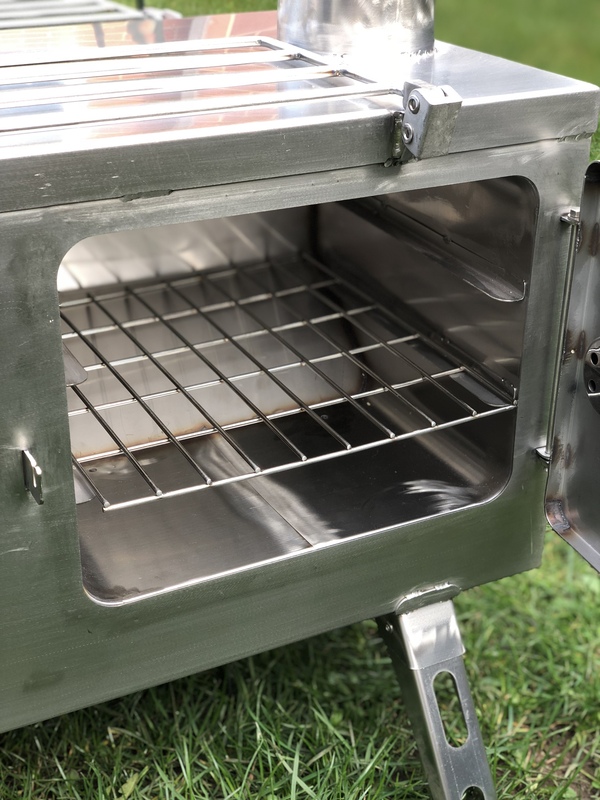 The large glass door gives you the feel of real warmth wherever you are, and allows you to keep an eye on the all important fire and the door also has air flow control ensuring you get the maximum burn. 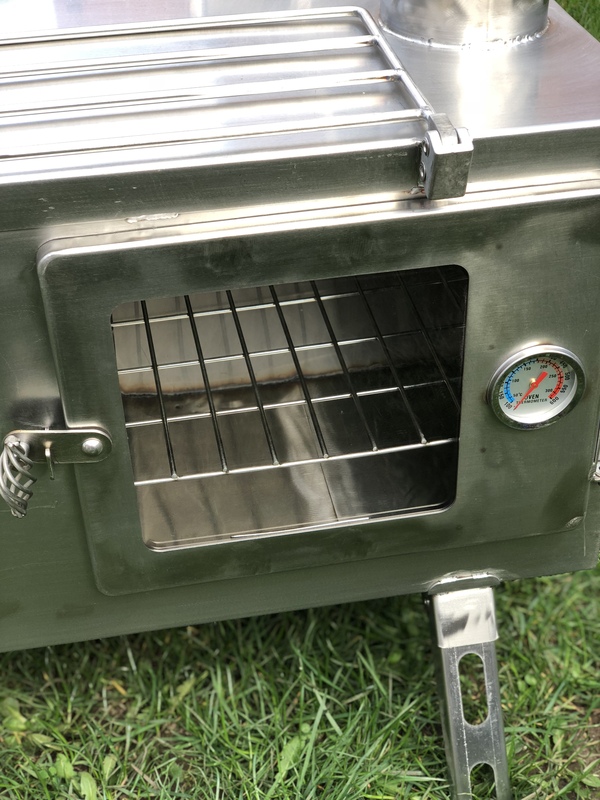 The oven is also built in to the stove, due to its unique design keeps the food smoke free, has a temperature gauge and large glass door to give you confidence whilst cooking. 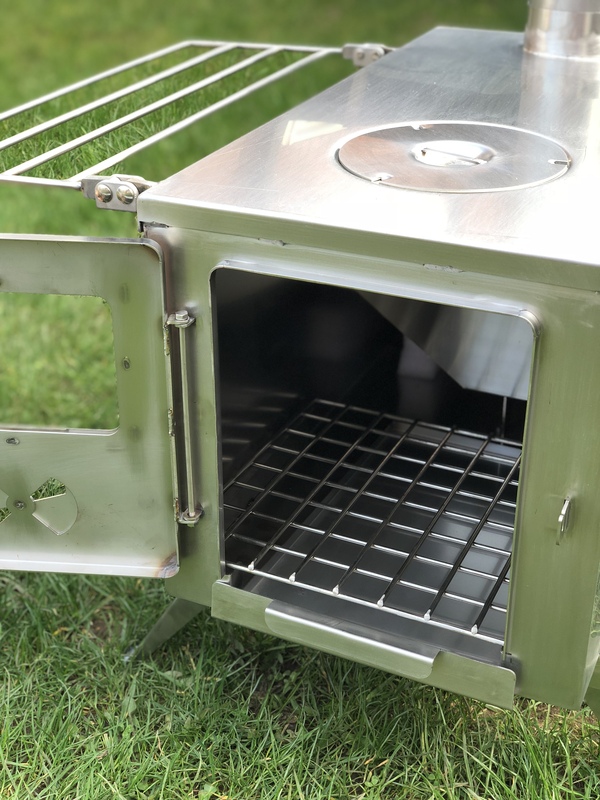 The flue separates into 5 numbered sections that fit nicely into the stove for storage when not in use. The legs also fold down to reduce storage space and the package comes with the spark arrestor. All of the bolts and welding are stainless steel. With beautiful crafted stainless steel handles, this gives the all rounder a beautiful finish to what is already a great looking stove. As with all our stoves we only recommend burning dry wood. 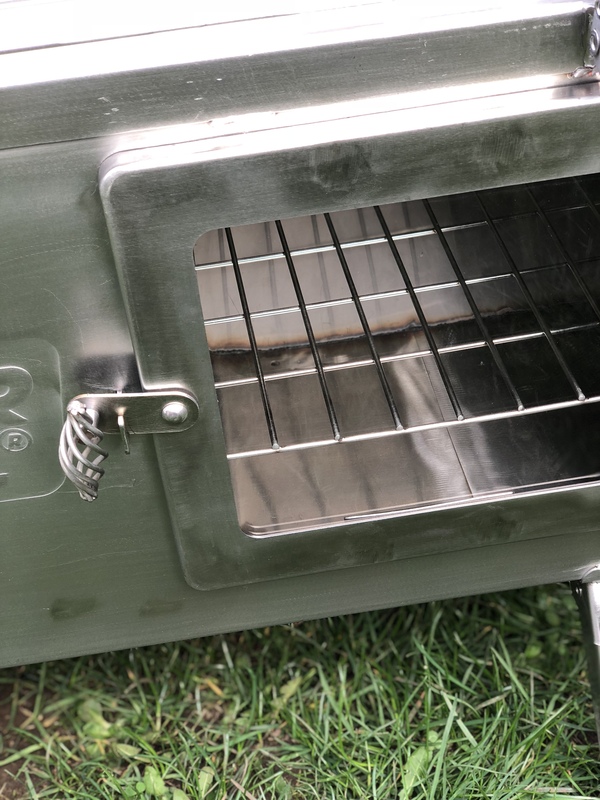 This is the most efficient way of using the all rounder and will give you the cleanest source of heat.